♡ Apply nail polish on your nails and wait until completely dry. ♡ Lightly push the stencils to the nail using a finger, especially paying attention to the areas near skin, cuticles, and the tips of long nails. ♡ Apply nail polish with a sponge lightly pushing it to your nail, similar to ombre design, this prevents any polish bleeding under the stencil giving cleaner lines. ♡ Remove the stencil immediately after applying nail polish while the polish is still wet. ♡ Wait until your design has completely dried before applying top coat. 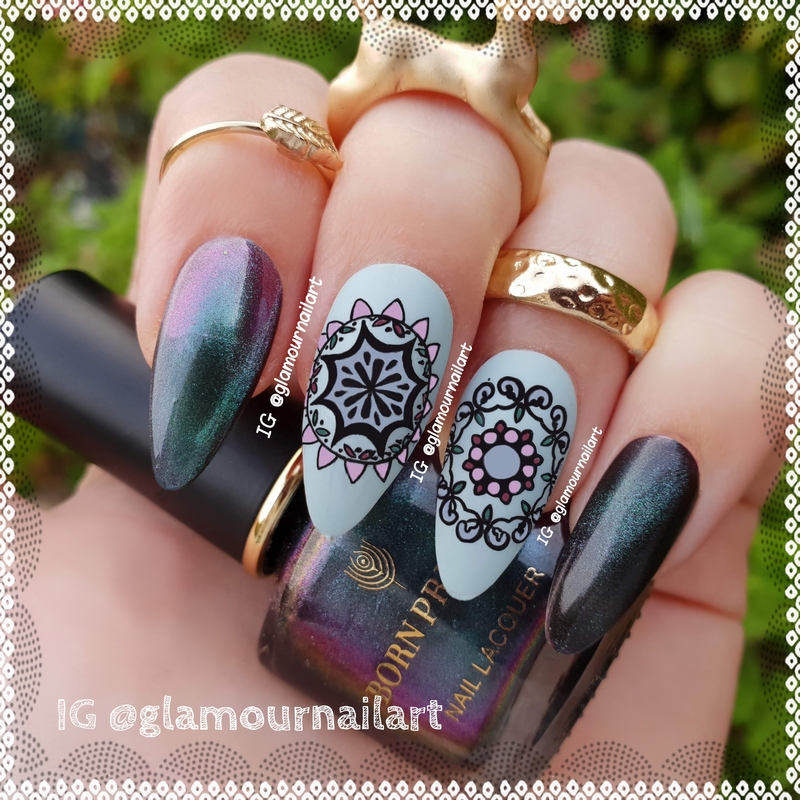 To create this mani I used nailvinyls from Whatsupnails and these are really amazing. First I applied my polish and let it dry completely, than I lightly pushed the stencils to my nail using my finger, after that I sponged the purple polish on (I discovered doing this goes better with stamping polish instead of normal polish) and removed the nailvinyl , finally I put topcoat (Seche Vite) on. To create the hearts I used nailvinyls of Whatsupnails , like I told you in my previous post they’re very easy to use and have great quality 👍👍👍 (check out my video tutorial on my Youtube channel on how to use them). When I peel the nailvinyl off the sheets this goes very fluently and the ‘inside’ fleur de lis stay on the sheet 👍 I like that a lot ! Also applying it on my nails and removing it goes very well.